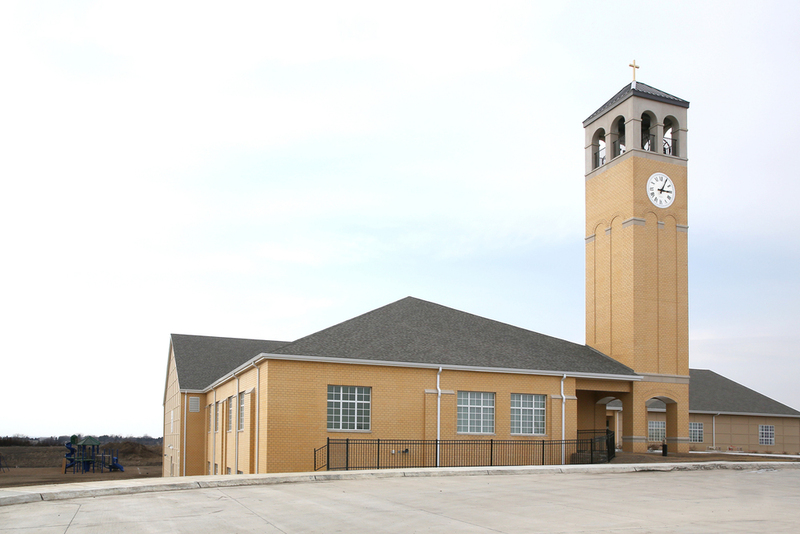 St. Michael’s, located within new residential developments on the south side of Lincoln, Nebraska, seeks to be a prominent sign on the growing landscape with its four story bell tower. 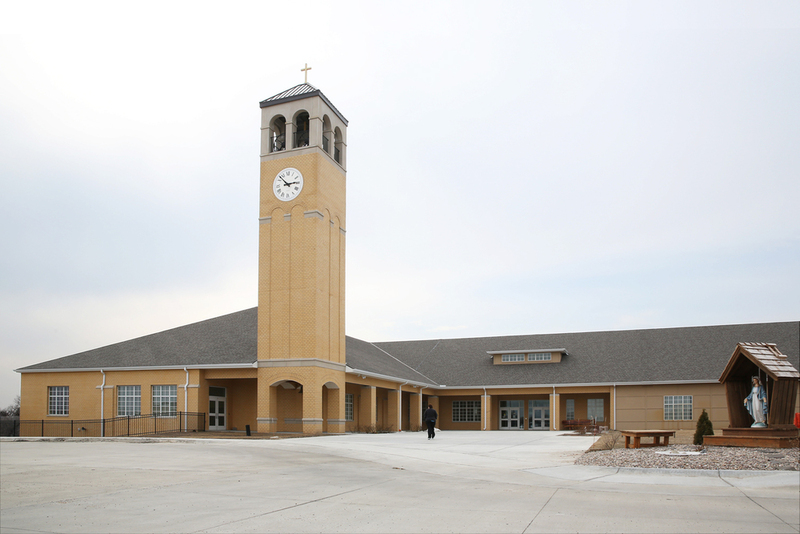 The first phase of the parish campus, the elementary school, was completed in August 2011. 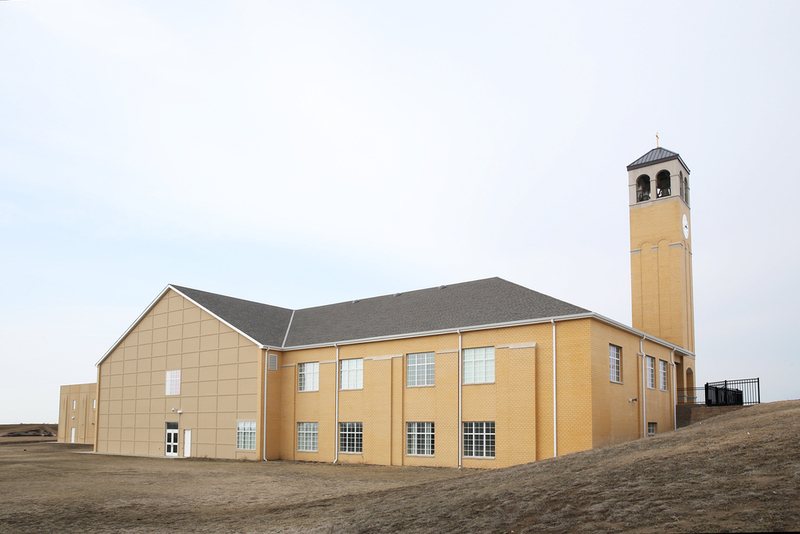 The school includes a 500 seat gymnasium, library, dedicated art and science classrooms, and a parish hall that is temporarily being used for Holy Mass until the church is completed. The school was built specifically with the growing community in mind; future classroom additions can approximately double the school’s current capacity.